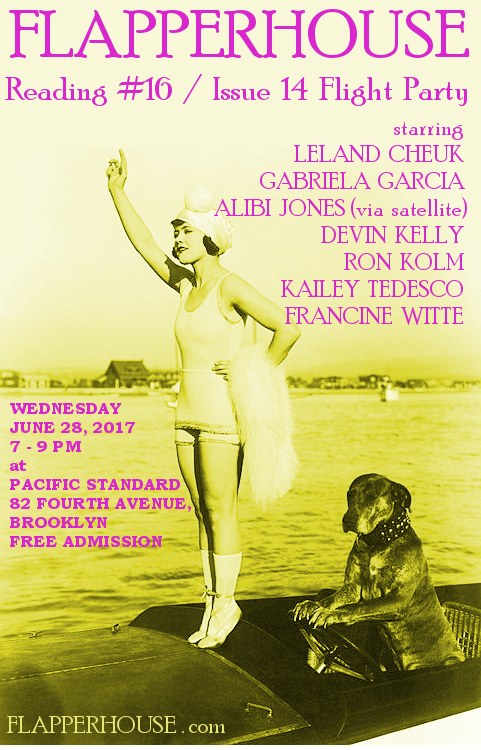 We’re gonna throw your brain off a freaking plane as we celebrate the flight of our Summer 2017 issue with our 16th reading! Wednesday night, June 28, 7-9 PM at the always-hospitable Pacific Standard, 82 Fourth Avenue in Brooklyn. Admission is FREE, and you can buy copies of FLAPPERHOUSE #14 for the special reading price of $5.